This is an example of a website a real estate agency would need. 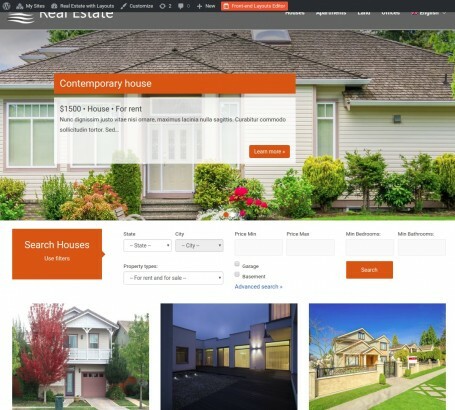 It contains a slider on the homepage with notable houses and a custom search below it so users can filter the results. Results are displayed in both a three column grid and on a map. The website includes custom post types to separate the properties – Houses, Apartments, Land and Offices. Each of the properties contains custom fields. There is also a post relationship to connect the estate agents with the properties they are in charge of. This site works best with the Astra, OceanWP and GeneratePress themes.